Ube (or ubi) is the Filipino word for purple yam (Dioscorea alata). It contains pigments that gives its violet color. 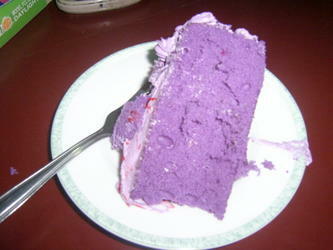 Left: A piece of cake made with ube. In the Philippines, ube is cooked with sugar and eaten as a sweetened dessert or jam called halaya ube which is a medium violet color. Ube is also an ingredient in the fruity dessert halo halo, another popular Filipino dessert. 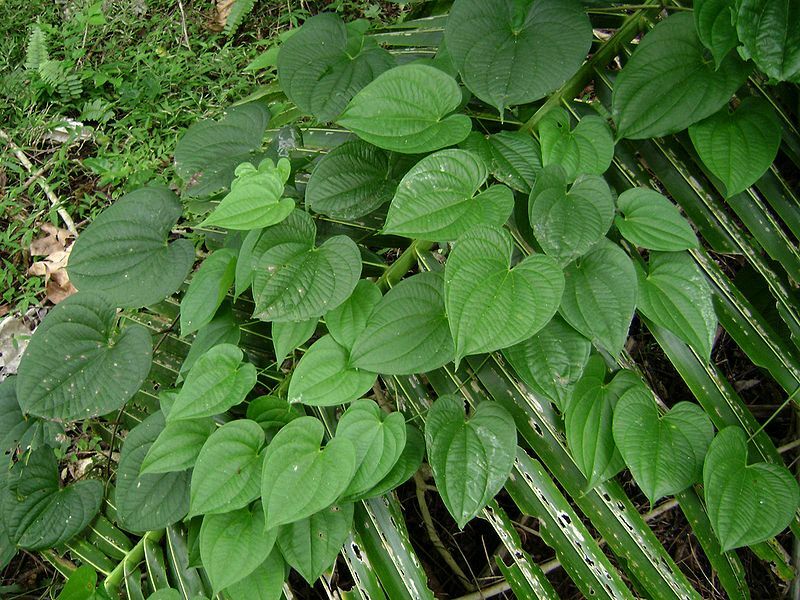 Ube is sometimes confused with the Okinawa sweet potato (Ipomoea batatas cv. Ayamurasaki). In botany, this species is also known by the names "water yam" and "winged yam." Ube is now used in a variety of desserts, as well as a flavor for ice cream, milk, Swiss rolls, tarts, cookies, cakes, and other pastries. Ube also sometimes is used in the Philippines to denote the colour purple or violet. 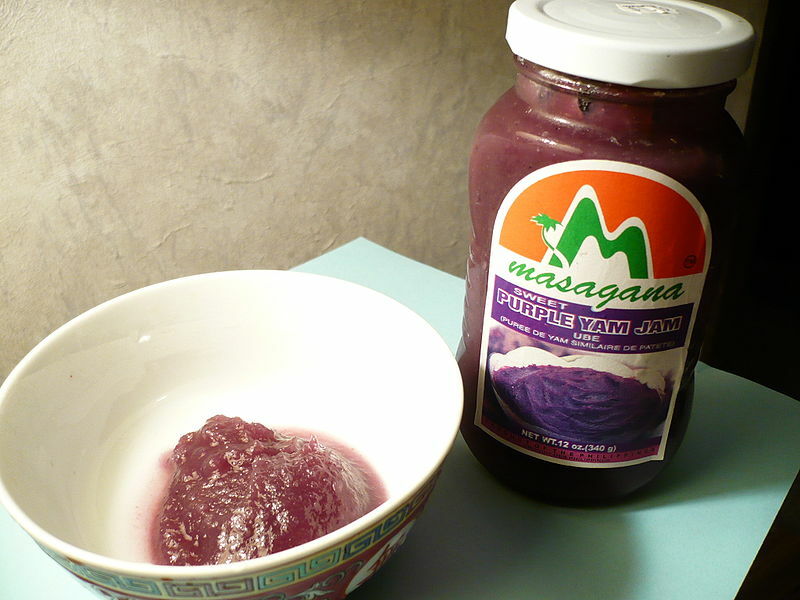 Left: Ube jam is called Halaya ube in Tagalog.